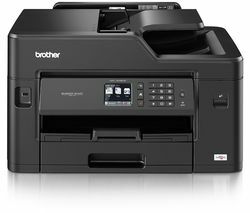 One of the leading printer brands, Brother printers are a great addition to any home or office and being able to print off important documents, photos or tickets will save you time and give you peace of mind. 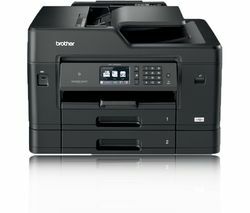 Brother printers are easy to use and affordable and come in a wide range of sizes and styles that will suit any situation or budget. They are compact so they won’t take up too much of your valuable space and they deliver high-speed, low-cost printing. If you’re looking for a quick and easy way to print from your Smartphone, tablet or any other internet connected device, choose a wireless Brother printer. 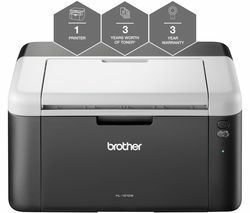 The Brother DCPJ4120DW is an all-in-one Wireless A3 printer. It prints with an impressive resolution up to 6000 x 1200 dpi. If you need to quickly produce large quantities, it can print up to 35 pages per minute. You can connect portable memory devices to save time on transferring documents and as this is a wireless printer you can print from any internet connected device. There’s even an LCD touch screen so you can set up and operate the printer with ease. 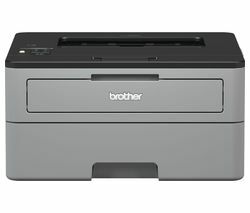 Whether you’re looking for a printer to use occasionally for train and plane tickets or you want a full colour printer to make copies of your family photos, a brother printer is a great, easy to use option. Take a look at more great printers from Currys including brands such as Canon, Epson, HP and many more.